Home » Television » Carradine to appear on NUMB3RS. Trailer for season (& likely series) finale of NUMB3RS, with the return of Edgerton. Carradine to appear on NUMB3RS. 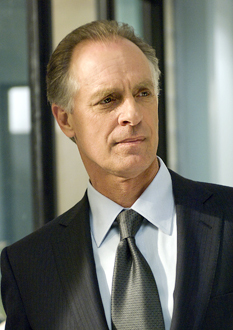 Fresh off his stint on Dexter, Keith Carradine will be joining Numb3rs for three episodes this fall. Regular Numb3rs viewers will recall that Charlie lost his security clearance and now can longer work with the FBI (or any other part of the government for that matter), well Mr. Keith will be playing a government agent that apparently has the final say in whether or not Charlie can get his clearance back. Carradine was fantastic on Dexter, so I am looking forward to his stint on Numb3rs. I would like to see this play out over the first half of the season, but would imagine it will be three in a row. Last season, they took something (Colby being a traitor) that should have played out over time and wrapped it up by the end of the episode…very stupid. Numb3rs has done an excellent job with character development, this is a great oppertunity to show Don and Charlie dealing with things on their own. No, but he did pop up on Criminal Minds a couple of times. am i correct in thinking he was also in csi, the normal one? i think i can recall him in a cafe speaking to grissom? i would imagine in the new series charlie will have to be cleared fairly soon, otherwise the whole prgram would change. no doubt we in the uk will get to see these episodes in about winter 2010!